Task: to make a light display stand for the studio’s traveling store. Art. 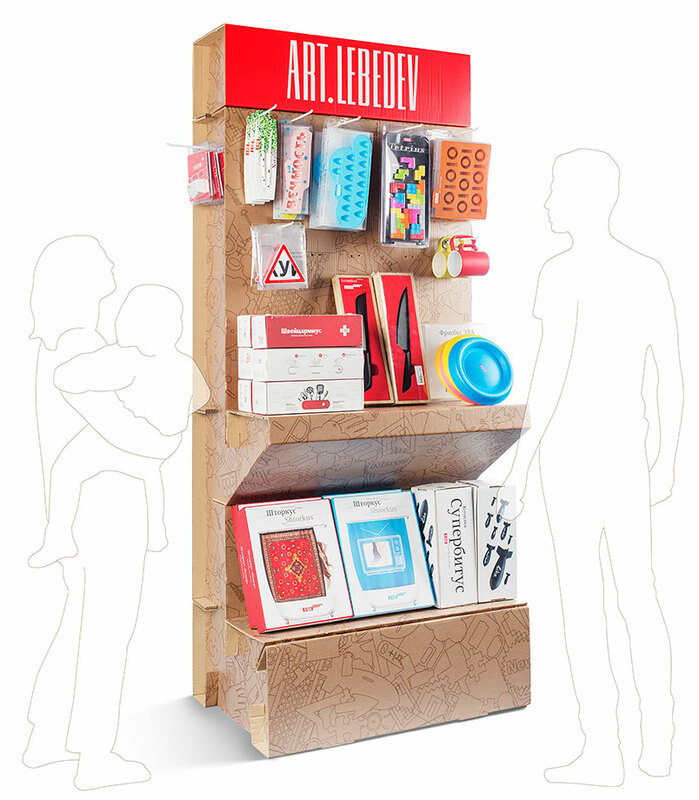 Lebedev Studio store often participates in various festivals, exhibitions and city events. A light product display stand that presents studio products at their best was created for offsite events. 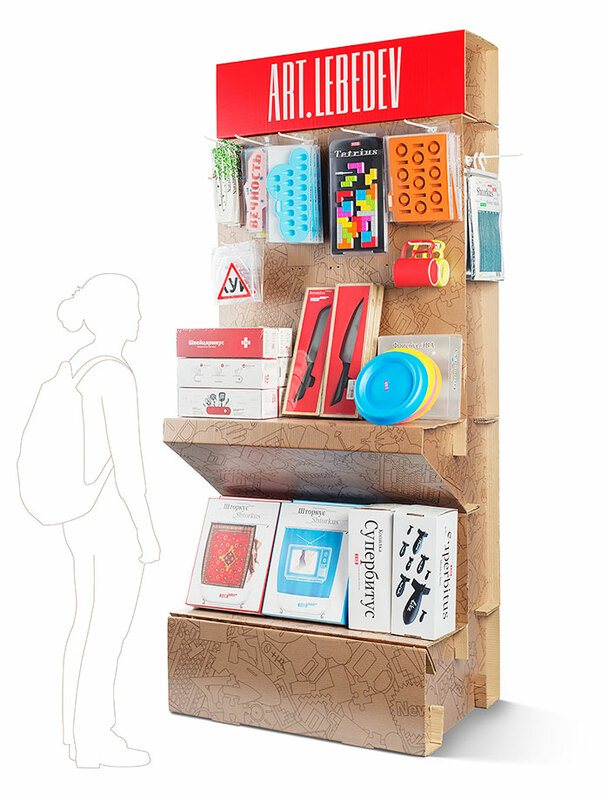 The stand is made of thick cardboard and has two shelves and hooks for the products. It is easy to transport and can be quickly set up and disassembled.